Revolution Greens: Do You Have Ultra Endurance? Good Day Revolutionaries! We recently asked ourselves the question of how far could our bodies go. In other words, what level of extreme endurance were we capable of? Some of the Revolution Greens crew has taken a big interest in Triathlons and Marathons. We started out by just wanting to stay in shape and get our competitive juices flowing. At first it seemed difficult to run a mile, then we progressed to 3 miles, then to 6 and so on until some of us were completing 70.3 mile Triathlons. Now the Iron Man is in the cross hairs for some. So how far can we go? We are not sure, but there are some people out there that have the endurance to achieve what seems to the average person as simply impossible. Ultra Marathons like the Badwater, a 135 mile non stop run through Death Valley in the middle of the summer, is completed by almost 100 runners. The Furnace Creek 508, a 508 mile ride through the Mojave Desert and Death Valley, also has hundreds of participants. If they can do it why can t we? How far have you gone? 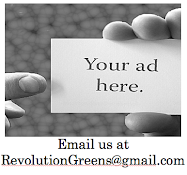 If your interested in getting your body that far, Revolution Greens will sponsor you. Let us know.